Not sure whether you need water heater replacement in Midtown or just a repair job? 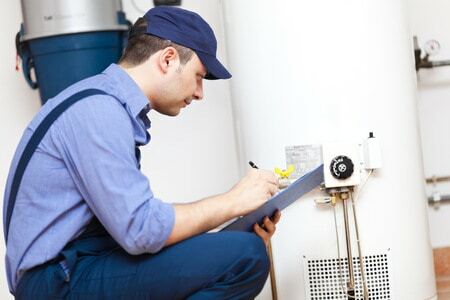 Typically, water heaters are a low maintenance appliance, but occasionally you may encounter a problem and need a water heater replacement in Midtown. Sometimes it’s hard to tell if the issue necessitates a simple repair or if the entire unit needs to replacement. My Water’s not Hot Anymore! This is probably the most common issue people have with their water heater. And there can be several reasons your water is not coming out hot enough. You could have a buildup of sediment in the tank. The water coming into the water heater is typically full of minerals and other small amounts of debris. As the water heats up, any sand or sediment settles at the bottom of the water heater tank. Many water heater tanks have their burners at the bottom as well. So if the burner gets covered by a build-up of sediment, it can’t heat the water effectively. The result is lukewarm water at the tap. Time for Hot Water Heater Replacement in Midtown? Another reason your water is no longer hot enough could be a problem in the actual heating system. This is likely if you have an older water heater, ten years old or more. It’s also likely if regular maintenance, like flushing it out once a year, has not been consistent. How’s Your Dip Tube Working? Here’s another possible cause – the dip tube could be faulty. That’s where the water enters the tank. If the dip tube is functioning correctly, it sends the cold water coming in straight down to the bottom so the burner can heat it up. If your dip tube is no longer functioning properly, the water stays at the top, which is also where the water outlet goes into the house. A broken tube allows cold water to go through the pipes that should be carrying hot water into your house. Again, your result is lukewarm water coming out of the hot water tap. Maybe a Simple Temp Adjustment? It could be something as simple as needing to adjust the temperature. If that’s the culprit, making an adjustment and waiting a few minutes to check the water temperature at the tap may be all you need to do. If the Water’s Too Hot, Does That Mean Water Heater Replacement in Midtown? On the other hand, some people have the problem of water that is way too hot coming from the tap. An immediate fix could be as simple as turning down the temperature. But it could mean something more serious, such as a defective temperature-pressure relief valve. Fixing this is not something you should attempt to repair on your own since it can be dangerous to do. The hot water or steam could scald you or the entire unit could rupture. Anytime there are odd sounds or smells coming from your water heater, it’s rarely good news. If the water coming out at the tap smells bad from both the cold water and the hot water tap, the problem is more likely with the water itself. But if it only comes from the tap dispensing hot water, it could mean the anode rod inside your water heater tank needs replacement. A smell of garlic may mean the pilot light is out. Weird sounds can be anything from metal parts expanding or contracting to a major buildup of sand and other sediment materials trying to get past the drain valve. Boiling sounds could mean the tank is overheating and the pressure is building up – an emergency situation. The bottom line is that most of these problems require diagnosis by a professional, licensed plumber, like the ones we have at Morningside Plumbing. We are the real deal! If you’re experiencing any of these issues, please don’t hesitate to call us anytime, night or day, at 678-726-1418. We’ll come out, assess the situation and let you know if you need water heater replacement in Midtown or just a minor repair. Either way, we’ve got you covered!